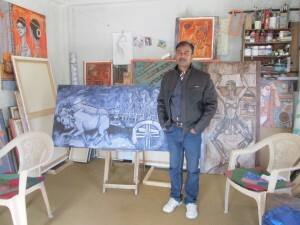 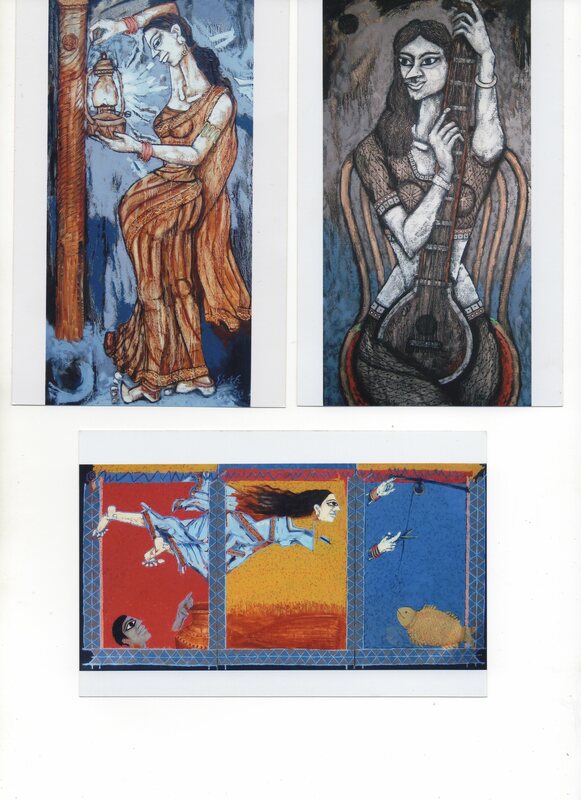 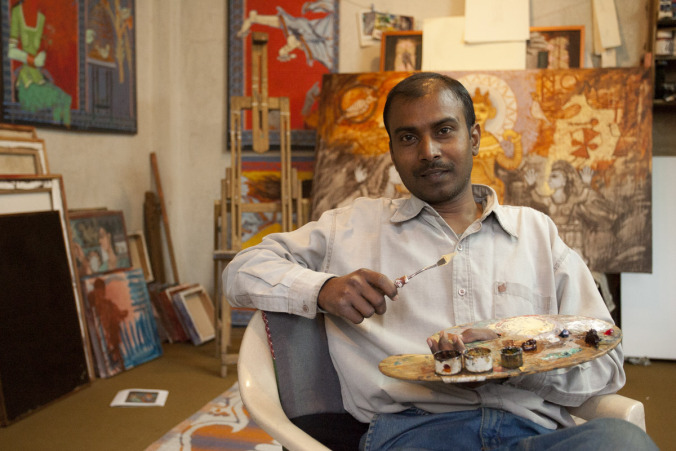 The NIAP is delighted to enjoy the support of the Mithila artist, Umesh Shah. Although highly innovative in terms of application of paint, and also subject matter, the artist’s work follows truly the Mithila Tradition, which is a highly spiritual one, with distinct symbols and spiritual concepts such as respect for Nature (as seen in the fish in the work below) and the interconnection of both female empowerment and also the special role of the female in society and spiritual rites. 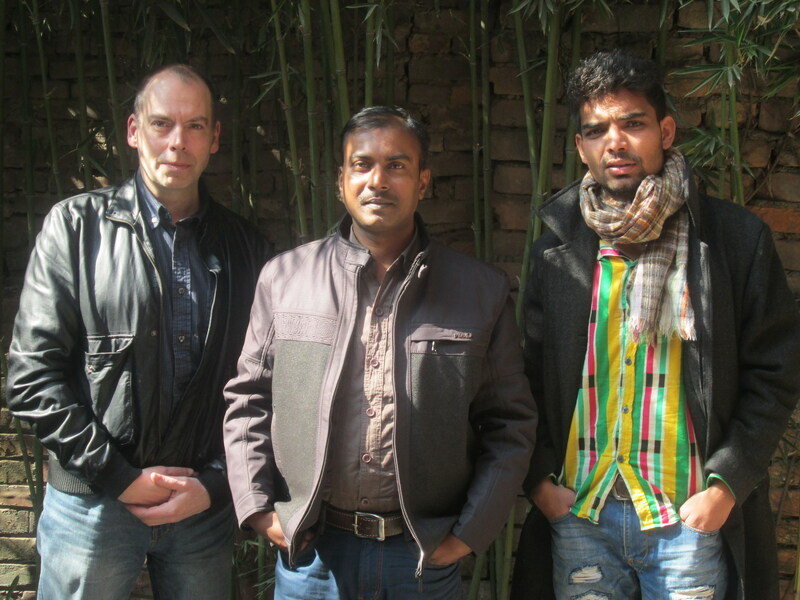 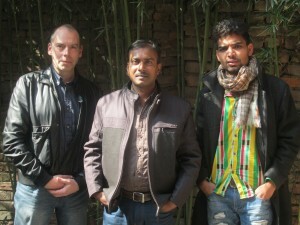 NIAP officers Alan Mercel-Sanca and Deepak Tamrakar with the artist in Lainchour and at his studio.